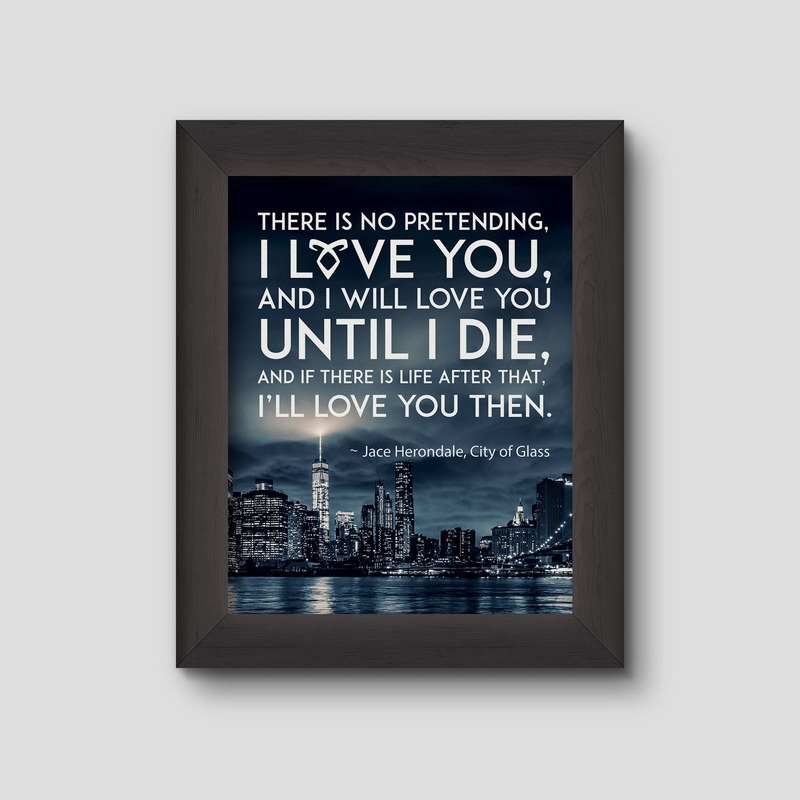 "I love you, and I will love you until I die, and if there is life after that, I'll love you then." 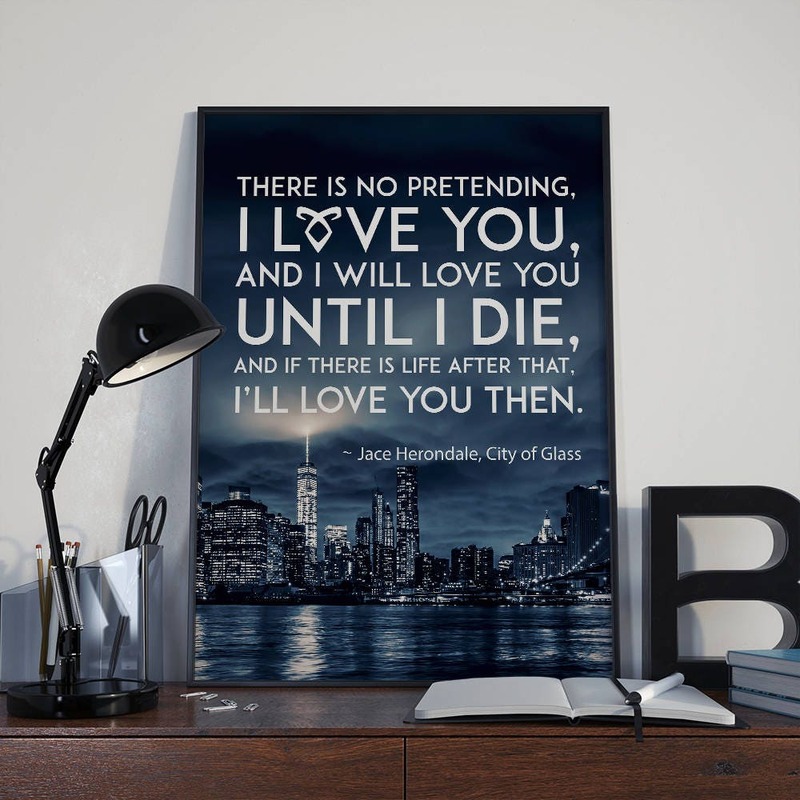 said Jace to Clary on the City of Glass (Mortal Instruments) book by Cassandra Clare. 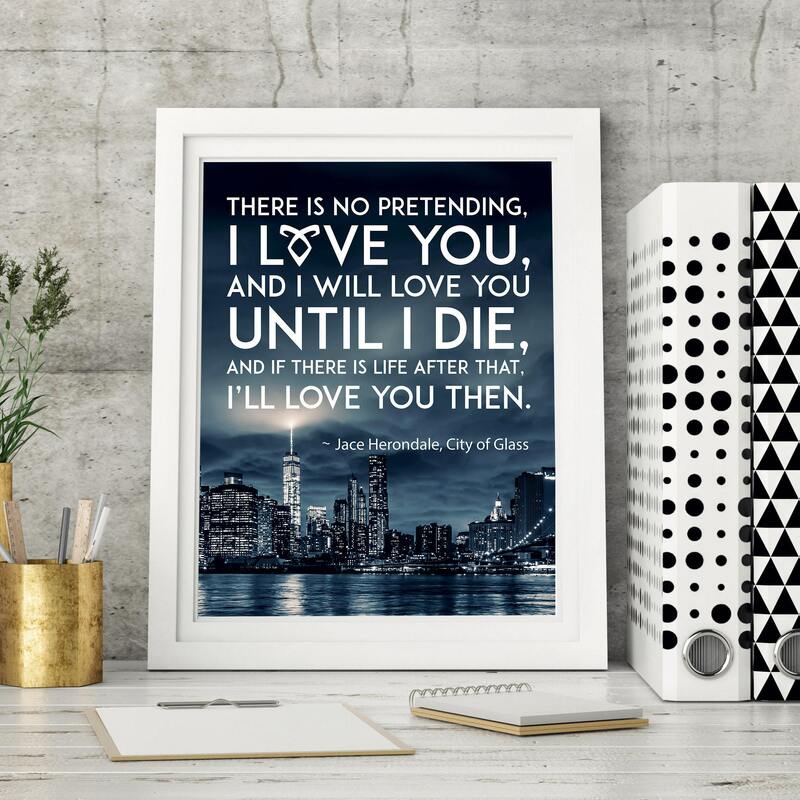 Get your #Clace inspired print the perfect bookish decor for your home, dorm or office and it makes the perfect gift for any Shadowhunters fan. It’s quick and easy, the only flaw is you have to pay Walgreens to print, but you can also print it at home. Good quality. 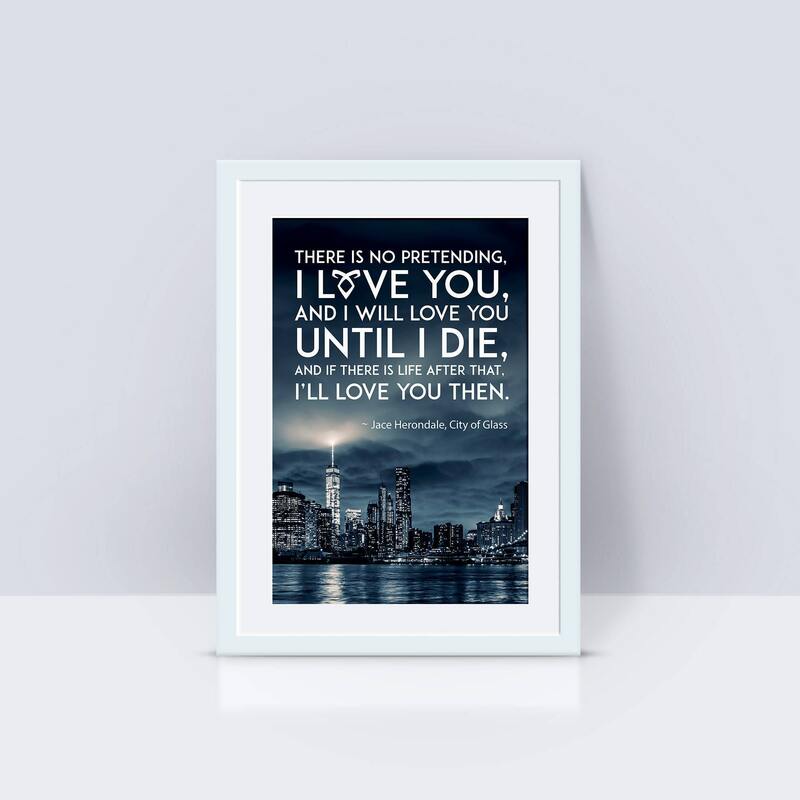 This is one of my favourite quotes so I was a must have, now has pride of place on my wall.